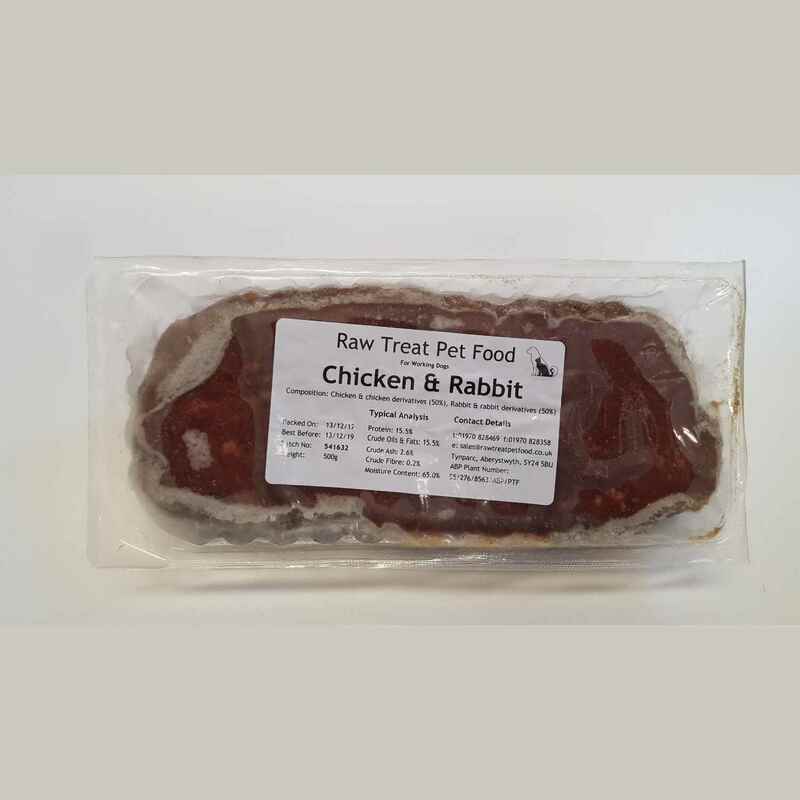 Raw Treat Frozen Minced Chicken & Rabbit. This 80/10/10 mix contains meat, bone and offal in the correct ratio to provide your pet with a balanced, nutritious meal. This mix is very high in protien as well as having the essential amino acids to help with tissue repair and helping to boost your dogs immune system.